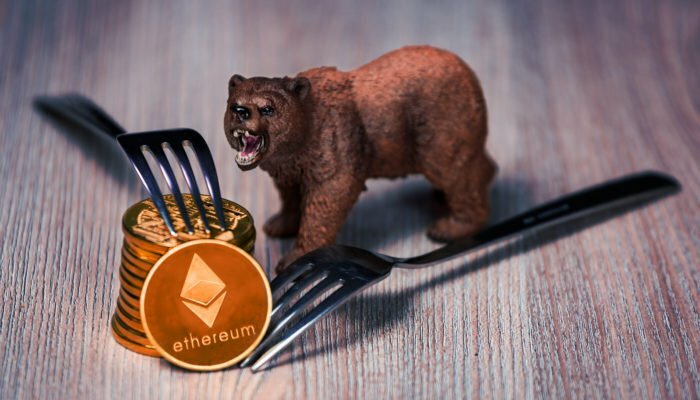 Over the past several weeks, Ethereum has seen consistent price gains that can be largely attributed to investors anticipating its Constantinople hard fork. This fork was widely viewed as being bullish due to it reducing the future supply of ETH by 33%. Now, Ethereum’s price is plunging due to Constantinople being delayed as a result of a security vulnerability that, if it were to be implemented, could result in a loophole that provides attackers with the ability to exploit the code and steal user’s funds. Earlier today, news broke that smart contract security audit firm, ChainSecurity, noticed a flaw within one of the proposed improvement upgrades included in the hard fork, which could allow funds to be easily stolen by nefarious actors. In a conference call, Ethereum’s lead developers discussed the flaw, noting that the hard fork will be delayed for an unforeseeable amount of time while they fix the issue. The new date for when Constantinople will be implemented will be released in another conference call this Friday. ChainSecurity discussed the fork’s vulnerability in a recent Medium post, calling it a reentrancy attack that allows bad actors to reenter the same function multiple times without the network updating to account for the actions they took, essentially allowing them to continuously withdraw funds. “The upcoming Constantinople Upgrade for the ethereum network introduces cheaper gas cost for certain SSTORE operations. As an unwanted side effect, this enables reentrancy attacks when using address.transfer(…) or address.send(…) in Solidity smart contracts. Previously these functions were considered reentrancy-safe, which they aren’t any longer,” ChainSecurity explained. Ethereum’s price plunged on news of the Constantinople delay, and it is trading down 6% at its current price of $121. ETH is presently trading just above its weekly low of $116, which was set this past weekend when the overall crypto markets dipped. Ethereum has seen a relatively consistent price rise since it set its 2018 lows of $80 in mid-December, rising to highs of nearly $160 before dropping to its current price levels. It is unclear as to how much of this price rise is the result of expectations regarding Constantinople, as the entire crypto market has posted a decent recovery from its mid-December lows. “Reasonings for buying this: It was at support, easy invalidation if I’m wrong… ETH is leading, dumping due to Constantinople delay – this is an emotional reaction that may be quite shortlived [sic],” he explained. How Ethereum’s price responds to the fresh news regarding the delay in the coming hours and days will gage how important traders see Constantinople being for ETH’s price.